Crestar School of Dance, one of the most established private dance schools in Singapore, has gone into a joint venture with Ms Pamela Carvalho. Ms Pamela is a long-time teacher and principal, and will be running and managing the newly-opened dedicated dance school in Toa Payoh. Ms Pamela Carvalho (Managing Principal of Toa Payoh) and Mr Ng Tiow Seng (General Manager of the Enrichment Division) during the Joint Venture Signing Ceremony on 9th January 2019. The partnership was struck to further professionalise the dance services offered by the new flagship dance centre located at the heart of Toa Payoh. Ms Carvalho signed the partnership agreement with Mr Ng Tiow Seng, General Manager, Enrichment Division, Crestar Education Group (CEG) which has been offering dance programmes since 1977. The milestone occasion was witnessed by Mr Robert Leong, CEG’s Group Chief Operating Officer, and Mr Wang Wei Liang, Head of Crestar School of Dance. Witnessing the milestone event was Group COO Mr Robert Leong (left) and Head of Crestar School of Dance Mr Wang Wei Liang (right). Speaking after the light-hearted signing ceremony, Ms Carvalho expressed her wish to see Crestar School of Dance @ Toa Payoh grow to become a go-to place for dance aspirants of all ages to enjoy professional coaching. Ms Carvalho, who joined Crestar School of Dance in 1995, received her initial dance training in Malaysia. Before that, she was a professional dancer with the People’s Association Dance Company and became proficient in ballet, modern and traditional dances, and jazz. The avid dancer has also performed overseas, including in Thailand, Indonesia and North Korea. Many of her Crestar dance students have participated and won awards in regional competitions. Some have also won scholarship awards at the Commonwealth Society of Teachers of Dancing Australia Summer Schools. The newly-minted Crestar School of Dance @ Toa Payoh is designed with a minimalist Nordic interior. 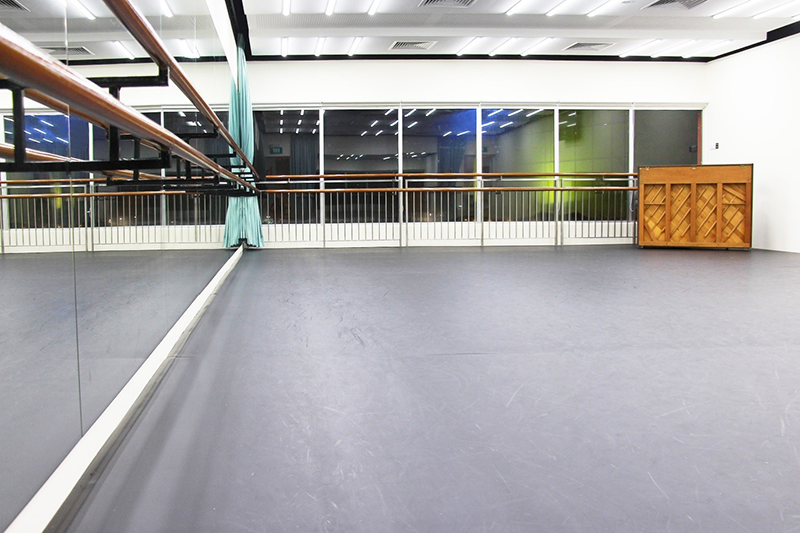 It is purposefully-built and discerningly-equipped to provide the best dance environment for all our students. One of two studios at Crestar School of Dance @ Toa Payoh. Since opening its doors in July 2018, the centre has hosted the School’s first ever Master Class Dance Workshop conducted by a renowned international dancer.